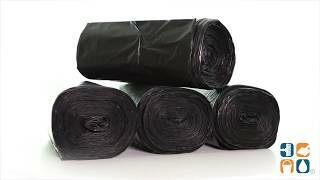 These 1.6 mil 60 gallon garbage bags are strong, durable and economical. 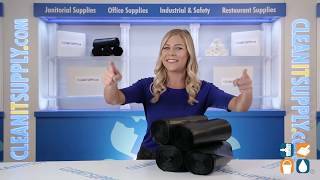 Our large black garbage bags come packaged in perforated rolls for easy dispensing. The Coreless rolls save space and material and help eliminate waste. The star-sealed bottom is designed for easy removal from the trash receptacle. CLEANIT Garbage Bags are the perfect combination of quality and affordability. Order yours today. Stock up and save!